There is a resurgence in Direct Mail at present and it is increasingly becoming a key part of many successful marketing campaigns today driven in part by the overabundance of digital communications that swamp us each day and in part by the increasing costs of digital advertising. The return on your investment in direct mail can pay dividends when compared with other direct forms of marketing if you get the basics of mailing right. To me a good direct mail campaign is one to one print that positively promotes your product or service in an appealing manner to someone who may be interested in purchasing at a time they may want to buy. This may sound obvious but what I see in practice are many examples where the approach to mailing emulates the dumbed down digital approach used in emailing campaigns of let’s email everybody we know with everything we want to tell them as often as we can until we wear the customer down and they purchase. And the outcome of this is the increasing use by the recipient of the delete key and the assignment to the spam bin. Over half of emails sent are deleted within 2 seconds of being received. Product – what is it that you wish to sell or promote? What are its key features and strengths? Who are the competition and what puts your product apart from them? What is it that triggers your customers to purchase? What role does your brand play in triggering purchases? Are your prices competitive and are there offers you wish to make to encourage the purchase? Understanding why your product sells is the most important of the five essentials. As this information is key to your business, it should be knowledge you already know backwards, though writing the answers down can sometimes be more difficult than it may seem. Creativity – how do you best describe your product to the potential customer? The mailing piece is your shop window. You may wish to highlight something unique, you may wish to make a special offer. It needs to accentuate the positive. It’s all about drawing the customer’s eyes to the mailing piece when it arrives through the letterbox. It’s also an opportunity to introduce or enhance the brand to the prospective customer. Mailing pieces can vary from the simple postcard that drives the customer online through to the full catalogue. Design can be simple or creative but needs to be eye-catching. It needs to stand out and attract the recipient to pay attention on receipt. Data – who are the target audience that might buy your product? Too often I see mailings where the approach is to mail everyone or to choose recipients randomly. As a minimum ensure your data is audited and that duplicates, deceased and goneaways are removed from the data. This is a no-brainer as the costs of cleaning the data is usually outweighed by the savings in mailing costs. There are a whole range of data techniques that can then be used by looking at your existing customer base to work out what sort of person is likely to buy your products, or conversely who not to mail as they are unlikely to respond. These techniques include demographic profiling, data segmentation, RFM analysis of your existing customer data and more advanced techniques such as Chaid and basket analysis. A blanket approach to mailing data will not never maximise the return on or investment. Personalisation – print works but what really works is personalised print and, in today’s world of digital printing, every mailing item in your mailing has the potential to be different, personalised to the recipient. Direct mail is a form of communication with the potential customer and communication is a two-way process. We need to show why we think the recipient might want the product. The mailing piece needs to connect the product being promoted with the potential customer in some way, and as we are all different. This may involve personalising the mailing through words or imagery that show we know who you are and why you might want our product. Timing – for many mailings this can be difficult to achieve, however consider what the ideal time is for the mailing to land. It might be related to where we are in the year or a specific event, for example you don’t sell Christmas trees in February. It may be the day of the week, for example family holiday decisions tend to be made at weekends so why not time the mailing to land on a Friday. It may be related to when a previous purchase is likely to expire. However, unlike digital forms of marketing, mailings stick around the house or business far longer on average. They get filed for future reference, they get pinned to the notice board or stuck to the fridge or left on the mantelpiece or coffee table. There is no simple answer to what response you will get to your mailing before the mailing takes place. At the end of the day, key to all of this is whether you have a product or service that people want. However if you address the five essentials above you will move towards maximising the response you can get from the direct marketing activity. What we do know about response levels are that if you can find that sweet spot of who to mail, what to mail, how to connect to the potential customer and when to mail you will be able to repeat the process time and time and achieve similar returns. Keep refining the essential steps and you will see these response levels continually rise. This entry was posted in Data, Digital Print, Direct Mail and tagged Communications, Customer Data, Data Cleaning, Data cleansing, David Bingle, DDL Group, Digital Print, Direct Mail, Direct marketing, Personalisation, Printing on November 13, 2014 by David Bingle Associates. Underlying all direct marketing activity is data, the details of the Clients, donors and prospects to be contacted as part of the campaign, whether by mail, phone , email or SMS. This data may well be data you already “own”, such as your Client or Prospect data. However you will often want to reach for a new unknown potential market. This is usually achieved through obtaining data from third party data suppliers. Whether your target market is businesses (business to business marketing or B2B) or consumers (business to consumer marketing or B2C) there is an endless supply of data available to meet your requirements. Understanding your potential customer is key to successful data purchase and more importantly to achieving a real return on investment for your direct marketing campaign. So how do you go about getting hold of the data? Whilst you can purchase data that you then own, the majority of data is only available to rent. In these days of privacy and data protection, it is important that data is sourced and used legally and conforms to the Data Protection Act. By renting data, responsibility for the use of the data primarily lies with the data supplier (or “data owner”). The supplier will have made sure that use of the data is legally compliant. Choosing a reputable supplier is important, there are organisations such as the Direct Marketing Association (DMA) who can provide guidance and direct marketing service companies, such as DDL Group, that have expertise in understanding the extensive data rental market and can source data on your behalf. Quality of the data rented is important, and as a general rule is the more the data costs to rent, the better the quality. Factors that affect quality will include where the data was originally sourced from, how recently the contact details have been checked and confirmed (data will go out of date as people and businesses move on or cease to exist) and whether the business or individual has been contacted directly to confirm their details or whether this is through a third party. Ignoring very niche data, data can cost anything from £100 to £500 to rent per 1000 records. You would expect the higher priced data to perform better. Will you be using the data once or more often? Once means either one mailing, or one email or one telephone call. Normally data is rented either for a one-off use or for multi-use over a one year period. In order to check you are using the data correctly, the list supplier will add “seeds” to the data supplied. These are records that look like all the other records but when you use them the marketing activity will go to the supplier so they can track your usage. Remember, however, when you contact someone from your rented data and they respond to you giving you permission to speak to them further the ownership of then the data record becomes yours. Do you want name and mailing address only or do you telephone numbers and/or email addresses? The more contact details you request the higher the rental cost. And again importantly, data suppliers may not hold all contact details for all data records and so the number of available records may change depending on the contact details you require. For business data do you require a named person at the Company or are you happy to contact a generic job title (such as “the Managing Director”). Do you want one contact at a Company or several? Named contacts will add to the cost, the data will go out of date quicker (people tend to change jobs) but contacting named individuals tends to bring about higher response. Seeking named contacts will tend to reduce the number of records available, particularly if you specify a specific job role rather than any “senior decision maker” at the Company. What selections do you wish to make to better target the data? You may wish to select by geographical area which could be specified by region (e.g. North West), postcode area or district (e.g. CH and WA postcodes), towns (e.g. Chester and Crewe) or even by distance or drive time from a certain location (e.g. 10 miles radius of your office). For businesses you may wish to select by business types, or annual turnover or number of employees? You may only want business head office locations only or may require all branches and depots? For consumers you may wish to select by demographic profile, age group. gender or income? There are many techniques, too numerous to detail here, in how to understand your ideal target market to enable you to best select the right third party data for you. However the starting point is often is understanding your business and the type of customers you have attracted to date. The experience and instinct of the business owners and managers in invaluable in defining this. Assuming you already have a significant number of customers, the clever way is to analyse your exiting customer base and determine what factors these customers have in common. There are formal profiling systems that can assist here, producing such a profile that can be used to select data from the third party supplier. It is surprising how often the profile of a Company’s prospects and those that have actually become Clients differ which clearly highlights the need to understand the customer as a focus to guide all sales and marketing activity . And while profiling can occasionally draw a blank (any consumer or business is likely to purchase) and in general terms it may tell you what the the experienced managers already know or assume, the detailed profile will help you narrow down and focus on who should be contacted, which in turn will reduce marketing costs and improve the return on investment. Does renting third party data work and if so what will be the response rate? Nearly every Client asks this question and there is no simple answer. As with any direct marketing activity there are a range of factors that will determine response levels. Most importantly is the product or service you are selling or promoting. The method of the marketing approach, the quality of any design, timing as well as the data quality and relevance are all factors that will determine whether your campaign is successful or otherwise. What direct marketing does give you however, in all its forms, is the ability to test. There is no need to utilise the whole of your marketing budget in one go. Generally, however well the test works, will roll out as you repeat, assuming all the factors that affect response stay the same. And of course the testing allows you to refine, improve and retest. This entry was posted in Data, Data Rental, Direct Mail and tagged B2B, B2C, Customer Data, Data Rental, David Bingle, DDL Group, Direct Mail, Direct marketing, Email, Sales Generation on November 8, 2013 by David Bingle Associates. Data Cleaning – An Integral Part of Direct Marketing? Ignoring requirements upon us all under data protection legislation to keep data accurate and current, ignoring the environmental benefits, ignoring the impact on customers and prospects and their view as to the mailer’s competence, cost alone should be a driver to undertake comprehensive data cleaning on every occasion. The savings made on print, fulfilment and postage costs both for the current campaign and future campaigns with the same data will outweigh the costs of data cleaning. In these difficult economic times where every penny has to be spent wisely and where return on investment is a key measure of success or failure of a campaign, data cleaning your customers and prospects regularly is essential. So what are the key elements of any data cleaning exercise? Address Validation & Correction. 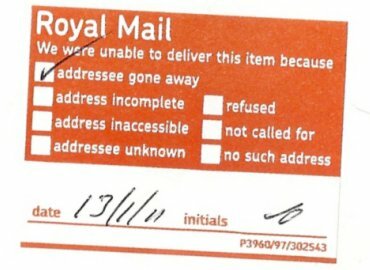 Comparing addresses against the Royal Mail Postal Address File (or “PAF”) to ensure the address and postcode are valid. This ensures your mailing arrives at its intended destination and on time. In addition discounts in relation to postage costs only apply to correctly addressed items. Deduplication. Avoid sending the mailing more than once to the same recipient or possibly the same household. Its wasteful and looks bad. Deduplication is the process of identifying possible duplicates in the mailing and then actioning to reduce these duplicates to a single record. Mortality Cleaning. Comparing the name and addresses against databases of people who have died(mortality registers) enables you to remove these from your database. Failure to do this can cause distress and hurt to he family of the intended recipient, and there is always an assumption on their part that you should have known. Businesses also stop trading, so checking your Company data against registers of dissolved businesses can also be undertaken. Goneaways & Change of Address. People and businesses move and there are databases of people no longer at their old address to compare your records against. Why mail to someone who is not there? Some databases also know where the individual or business has move to and so a new address can be obtained to enable you to follow the customer or prospect to their new location. MPS & TPS Cleaning. The Mailing Preference Scheme (“MPS”) and the Telephone Preference Scheme (“TPS”) are national registers where consumers can record whether they wish to receive certain types of communications by post or telephone. If you do not know whether your customer or prospect wishes to receive the intended communication then you should check against these registers and remove the record if the consumer has indicated no desire to receive it. These are the key elements of any data cleansing exercise, there are other cleansing and data enhancements that can be made at the same time. There are three prime benefits resulting from keeping data clean. Economic. The costs for having data cleaned are not extortionate. When compared with immediate savings that will be made from mailing your data, in most cases the savings will outweigh these costs. Further the costs are known in advance of committing to the cleansing through the use of a data audit. This process evaluates the data and works out what records it needs to modify or change and what the costs will be to achieve this. This audit is usually undertaken free of charge. Environmental. Cleaning data reduces the environmental impact of a mailing. Removing records where the recipient has died, moved away or simply asked not to receive the marketing material reduces the amount of print and packaging used for the mailing. It also reduces the carbon footprint of the mail piece being delivered from mailer to recipient and then back again as a gone-away. Brand Perception. Impact of your brand upon the recipient is not damaged by more than one mailing being received at the same time or by the mailing arriving late due to poor addressing, or through upsetting family members through not knowing the recipient had died. In summary, my advice is to audit your data before every mailing and clean when and as indicated by the data audit. Remember not just to make the cleansing changes to the mailing about to take place but apply the changes back to your database to ensure all future direct marketing activity takes into account this new customer or prospect knowledge. This entry was posted in Data, Direct Mail and tagged Big data, Business, Business analytics, Customer Data, Data Cleaning, Data cleansing, Data integration, Data Warehousing, Databases, Direct Mail, Direct marketing, Email, Environment, Extraction and Transformation, Printing, ROI on May 10, 2013 by David Bingle Associates. The Resurrection of Direct Mail? Targeting is the key to successful direct marketing. The quality and penetration of available named email data both for B2B and B2C activity is substantially poorer than the equivalent mailing address data. It is becoming increasingly difficult for the email to reach the desktop of the desired recipient and not to be deleted without viewing, as spam filters improve and the recipients become wiser to what they want to read from the ever-increasing bombardment of unwanted emails. And with new data protection legislation on the horizon, this situation is only going to get worse. For B2C in particular, emails are slowly being overtaken by the rise of social media, as the method of receiving information electronically. However from a marketing perspective this approach is more suited to the information broadcast rather than the personalised message. Even if the communication is destined to be binned, whether the waste bin or the recycle bin, the paper communication is far more likely to be opened and examined before discarding whereas the email disappears instantaneously with the delete button. And in those few seconds lies the opportunity for the paper communication to catch the eye and receive more than a cursory glance. Further, the direct mail item is more likely to stay around longer on the recipient’s desk or sideboard than in the email inbox. So maybe when considering which way to go with your next campaign, you need to look not at the upfront cost of the campaign but at the overall return on your investment. Increasingly, it would appear, direct mail is the preferred choice. This entry was posted in Direct Mail and tagged Advertising and Marketing, Advertising mail, Business, David Bingle, DDL Group, Direct Mail, Direct marketing, Email, Marketing, Printing, Social media on May 3, 2013 by David Bingle Associates.